Dr. Luther Fry, MD has been warmly welcomed as “Best in Medicine” by the American Health Council for his outstanding contributions to the ophthalmology field. Founder of Fry Eye Associates in Garden City, Kan., Dr. Fry is an experienced ophthalmologist who treats patients suffering from an array of eye ailments daily. 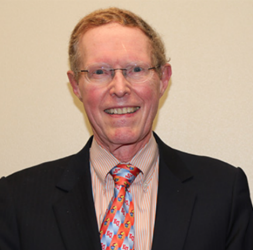 Since establishing his practice 40 years ago, Dr. Fry has perfected his skills and expertise in cataract surgery and intraocular lens implantation, and continues to lead his long-standing, successful practice. Originally on the path to pursue physics — and even earning a bachelor’s degree in mathematics from the University of Kansas in 1963 — Dr. Luther Fry changed his career path after realizing that he wanted to pursue a profession in medicine that incorporated technology and microsurgery. He remained at the University of Kansas and earned a medical degree from the university’s School of Medicine in 1963. He then completed a residency in ophthalmology at the Kresge Eye Institute in Detroit, and after receiving board certification from the American Board of Eye Surgeons in cataract surgery, he immediately began practicing ophthalmology. 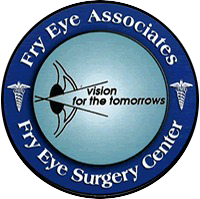 After establishing Fry Eye Associates in 1978, Dr. Fry quickly became well-known in his community for his successful cataract surgeries. Averaging about 43,000 cataract surgeries throughout the course of his career — topping one year with his all-time record of 2,000 surgeries — Dr. Fry has treated patients whose vision range from poor to sharp. Following his father’s footsteps, Dr. Fry’s son, Eric Fry, joined the practice in 2007. According to the Fry Eye Associates website, Eric completed his medical and postgraduate training at the University of Kansas School of Medicine. He specializes in oculo-plastics, which includes surgeries of the eyelids and tear drainage system. Additionally, like his father, Eric also performs cataract and laser surgeries. With a staff of three core ophthalmologists and three part-time doctors who visit the practice monthly, Dr. Fry’s practice aims to supply quality, affordable, state-of-the-art eye care to all patients in a caring environment. According to a publication on the University of Kansas website, Dr. Fry and his wife, Ardis — who grew up in Kansas — established the Luther L. and Ardis Fry Professorship in Ophthalmology with a gift commitment of $1 million through the University of Kansas Endowment in 2001. In 2016, the couple pledged an additional $1 million to elevate the endowed professorship to an endowed chair in ophthalmology. The following year, then-Kansas State Gov. Sam Brownback and then-Lt. Gov. Jeff Colyer recognized Dr. Fry as one of three Humanitarians of the Year Award recipients for his service and volunteer work to perform free cataract surgery for anyone with no insurance and inability to pay, as well as helping others to his full abilities. Dr. Fry has spoken at several conferences nationwide and has delivered countless lectures on ophthalmology. He was recognized as a Distinguished Eagle Scout and was the honored guest at the American Society of Cataract and Refractive Surgery’s Annual Meeting in Los Angeles in 2017. To continue to evolve in his field and contribute his outstanding skills and knowledge, Dr. Fry is a member of the Implant Society, the International Intraocular Implant Club, the American Society of Cataract and Refractive Surgery, a Fellow of the American College of Surgeons and a Diplomat of the American Board of Ophthalmology. In his free time, Dr. Fry enjoys editing surgical videos, skiing and spending time with his wife, his two sons Eric and David, and three grandchildren. Fry Eye Associates’ mission to supply quality, affordable, state-of-the-art eye care to all patients in a caring Christian environment. They will, by their professionalism, courtesy, kindness and expertise, instill a feeling of confidence in each patient. They employ approximately 50 employees to assist patients with every aspect of their visit. Their staff consists of certified ophthalmic technicians, registered nurses, insurance and business office personnel and a number of part-time high school and college students interested in learning more about health care.